It's my last day at my current job (woohoo - I am SO happy to leave!) and then I am off to pastures new next week which I am super excited about. 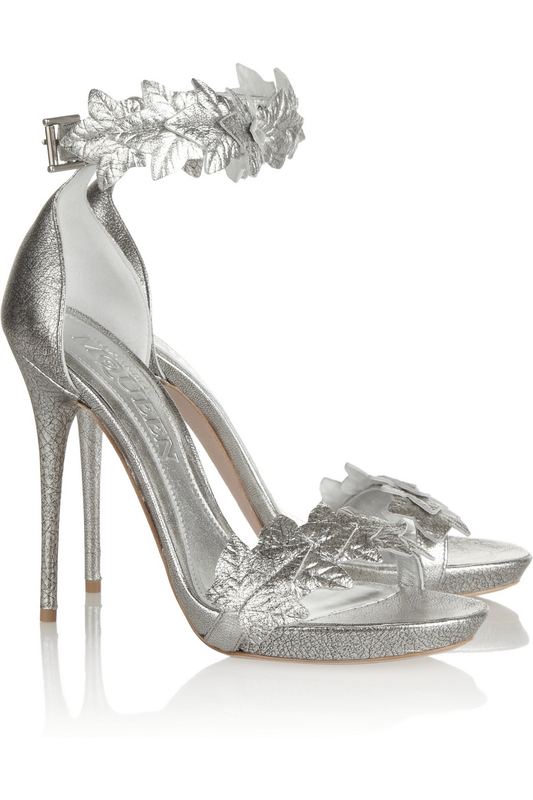 I am almost as happy as I was when I first saw these silver beauties from Alexander McQueen. Sarah Burton has come up with a pair of almost ethereally beautiful heels, and the entire collection is fantastic. I may have squealed out loud and bounced up and down in my chair. Maybe. 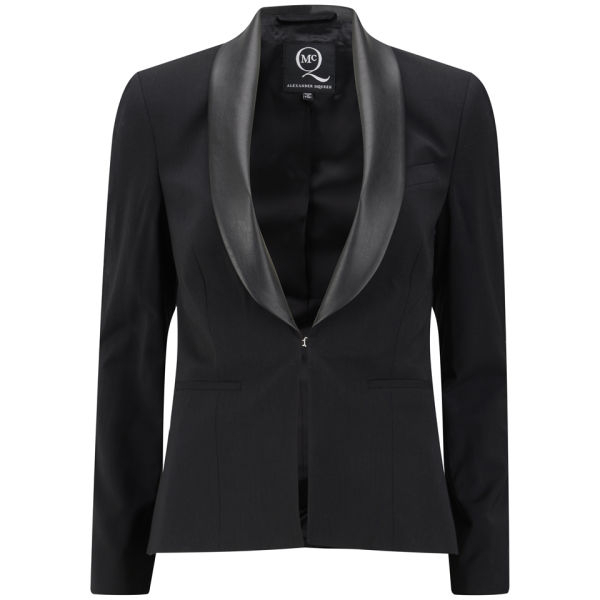 "Wild Beauty" was Sarah Burton's inspiration for Alexander McQueen this season. 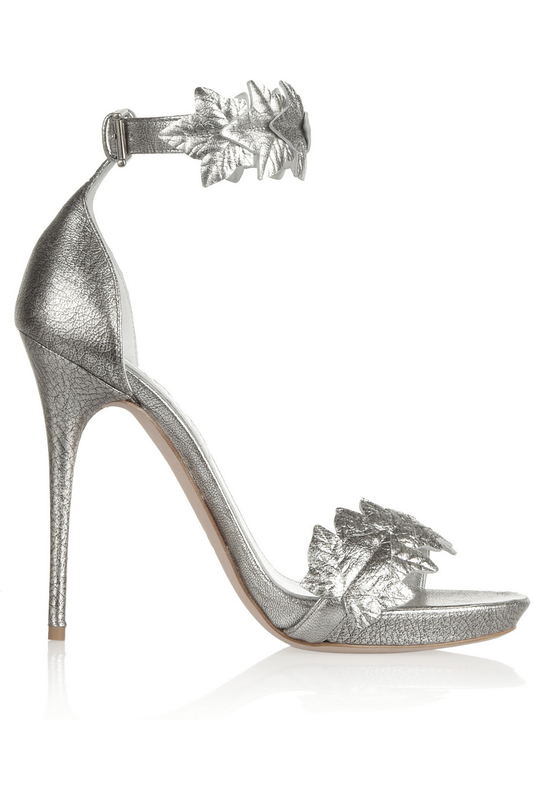 These Italian-made silver textured leather sandals have straps crafted to look like leaves. I want to wear them with tailored capri pants and a boxy tuxedo jacket.